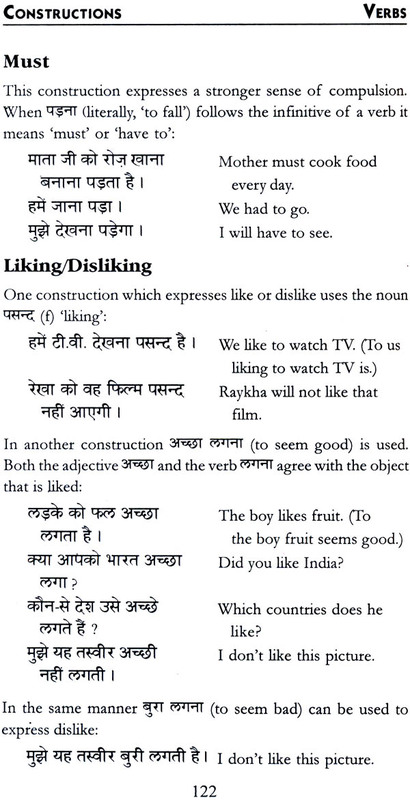 Chapters follow the usual word order a Hindi Sentences and contain all you need to know about the relevant part of Speech. Flip from one chapter to the next, construct your sentence, and start speaking this beautiful language. Let's Learn Hindi will be useful to Beginners, those who already have some knowledge of Hindi, and anyone traveling to India for business or pleasure. It is also a reference book and a teaching aid, encompassing simple to advanced Hindi structures. Deborah Feinstein, also known as Chaytna, was born and raised in Canada. After University she traveled around the world and reached India, where she has lived since 1977. Inspired by the beauty and depth of the traditions, knowledge and culture of India, she has devoted years to the study of Hindi, Sanskrit and Indian philosophy. To this day she speaks, lectures in, and teaches Hindi, Philosophy, and meditation worldwide. Hindi is not difficult to learn, and this book will enable those with no previous knowledge of this language to reach a point where they can read, write, and converse in it. Hindi is a rich and melodic language, spoken, written, and studied widely throughout India, both as a mother tongue and as a second or third language. Learning it will open the door to a fascinating and diverse culture that spans thousands of years of uninterrupted history. The primary source of Hindi is Sanskrit, one of the most ancient spoken and written languages in the world, and one of the earliest ancestors of the Indo-European language family. Like Sanskrit, Hindi is written in the Dev Naagari script, which is common to several other Indian languages as well. Much of the vocabulary of Hindi comes from Sanskrit, though Hindi also has a special relationship with Urdu. Their grammar and much of their vocabulary are virtually identical, though Urdu is written in a modified form of the Arabic script. Language is a natural and basic skill in a human being, and a child has an innate capacity to learn many languages. The potential must still exist within everyone, no matter what their age or training. It is just a matter of finding a method or system of getting the particular pattern of a language into the mind, and then getting that information to function.
. I have been teaching Hindi to a growing group of people of all ages, languages and professions from all over the world. Because of the diversity of my students, I needed to find a method that was simple, immediate, and did not require too much memorization. This book evolved naturally from years of looking for a system which would assist anyone to acquire Hindi vocabulary and understand the elements of its grammar. Out of my own experience of studying and teaching Hindi for over fifteen years, I developed the idea for a book with chapters arranged according to the parts of speech and their order in a Hindi sentence. This system proved to be a useful and quick way of finding the required word, even during conversations in progress with Hindi-speaking people. Thus, I had all my students make their own books, following the pattern of this one. As their knowledge increased, they would add words and rules to their books, which they could then carry with them to practise their Hindi. Zev Ordower, a computer engineer from Montreal, Canada, experienced the efficacy of the handwritten book he created in our class. He then transferred all the data to a laptop computer, thereby enabling the idea to evolve further. The Hindi presented in this book is primarily conversational, and is that which is used in all facets of formal and informal interaction by Hindi speakers and writers. Living and teaching in a Hindi-speaking part of India, I have been able to test, improve, and see the results of this method. People using this book have usually found, even after the first lesson, that they can converse simply with Hindi speakers, with the confidence that they are using the most appropriate word and correct sentence structure. I have found Let's Learn Hindi to be an effective teaching and learning tool for both groups and individuals. People at all stages of learning Hindi have appreciated it as a continually useful source of reference and information and have found its method to be enjoyable and inspiring. I hope you have the same results.